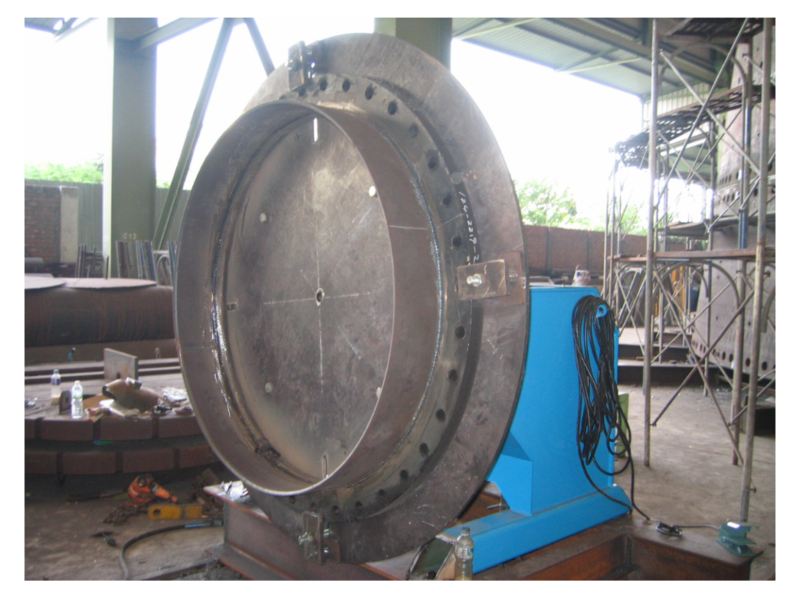 Welding Positioner from load capacity 100kg. 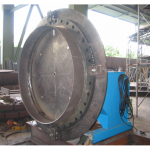 ~ 20,000kg. 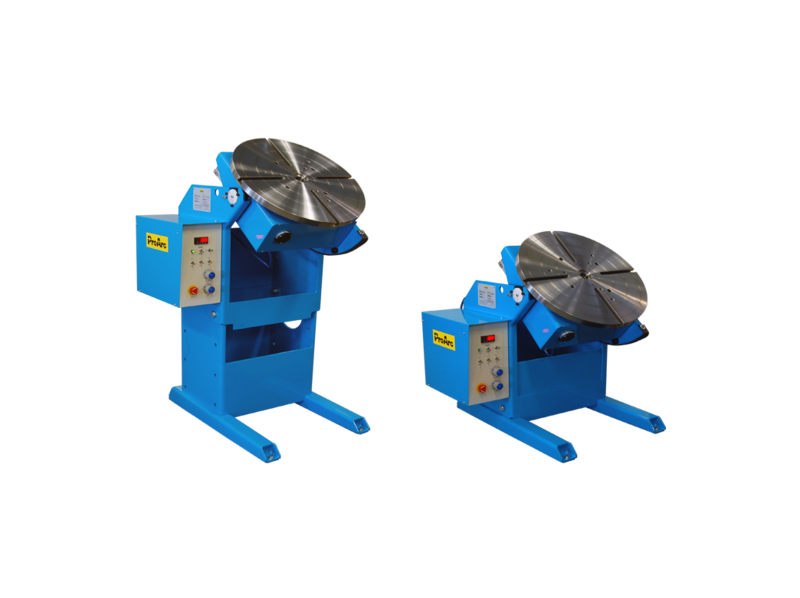 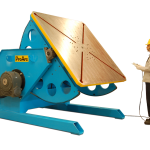 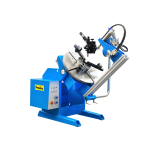 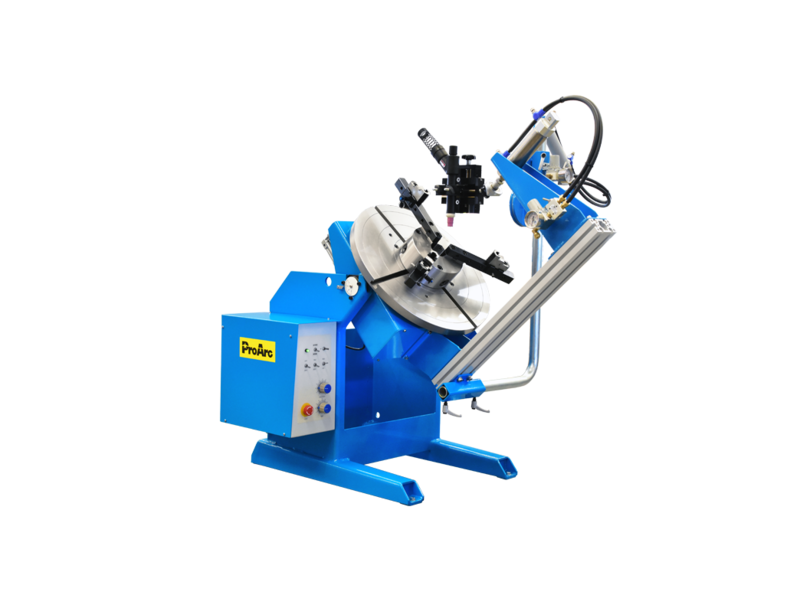 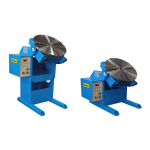 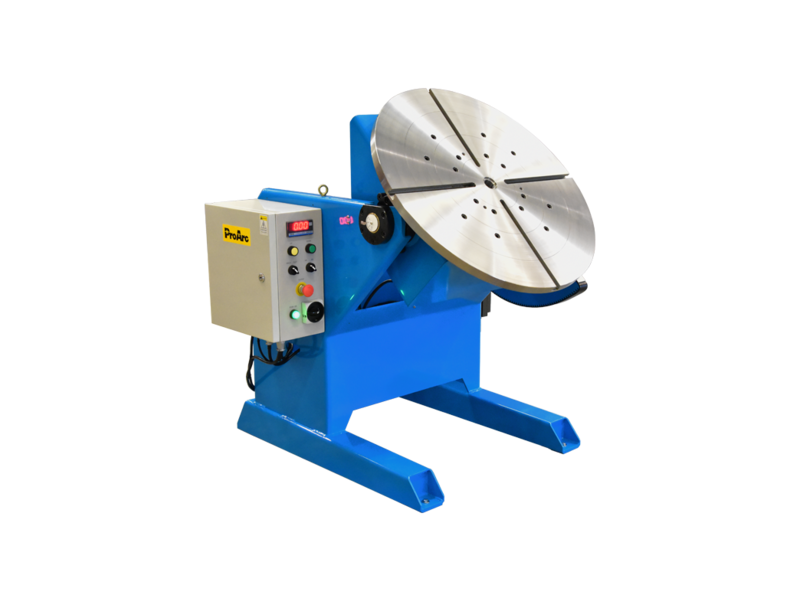 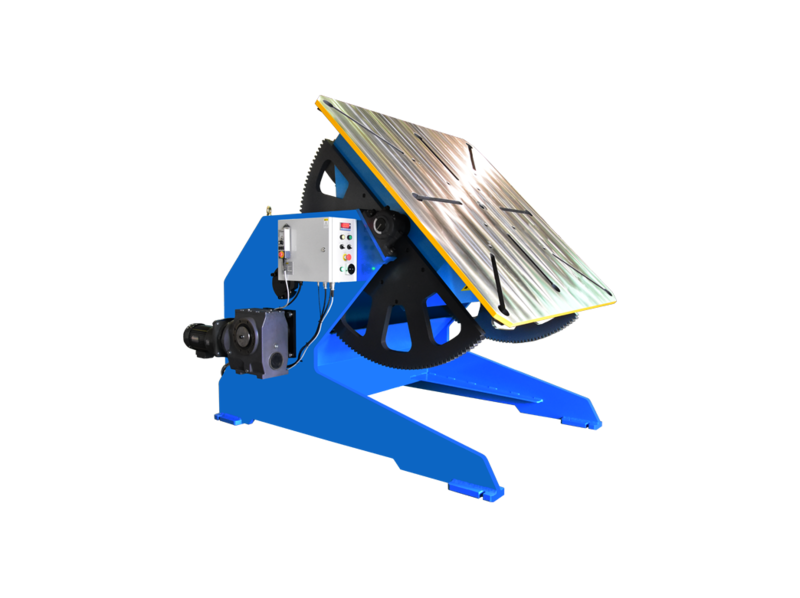 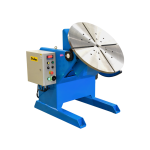 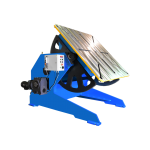 ProArc PT series welding positioners provide steel fabrication shops to position the jobs for ‘downhand’ position in the shortest possible time without the use of cranes and manpower. 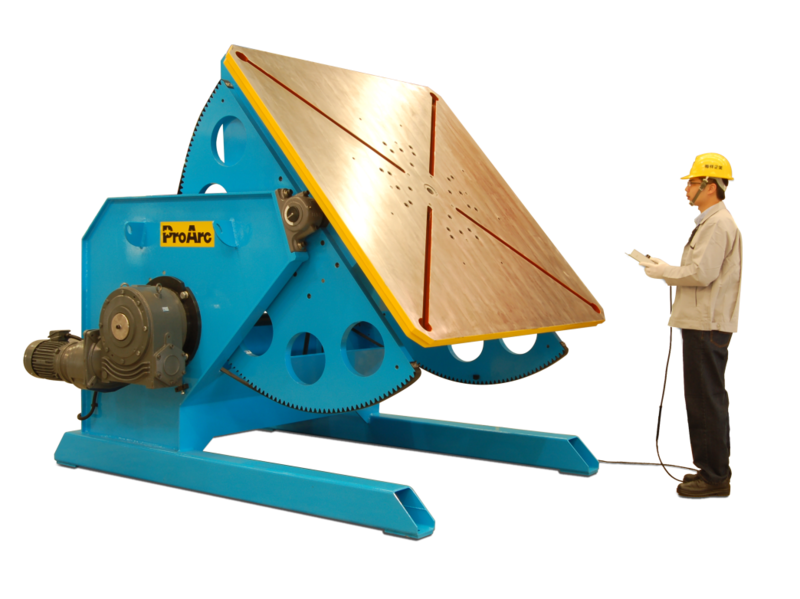 The constructions of ProArc positioners provide safe operation, long-life operation and trouble-free service. 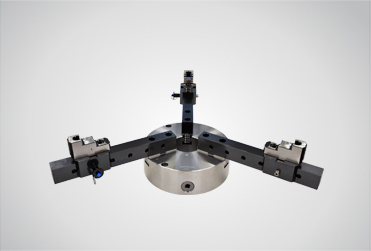 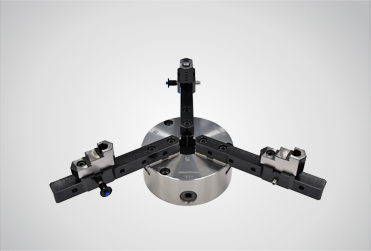 Capacities range from 100 to 20,000 kilograms 360° degree rotation, 135° degree tilts on all models. 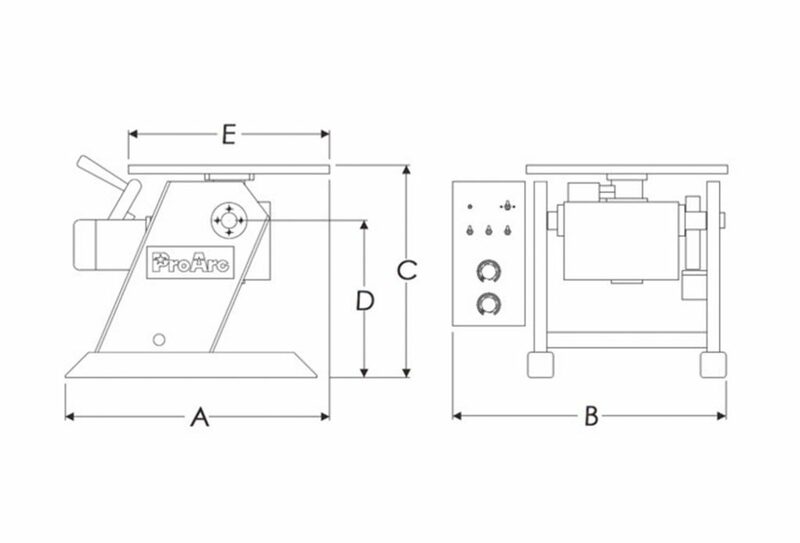 A. C. variable frequency drive for rotation. 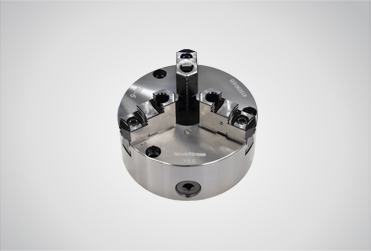 High quality worm gear reducers for smooth operation and minimal backlash. 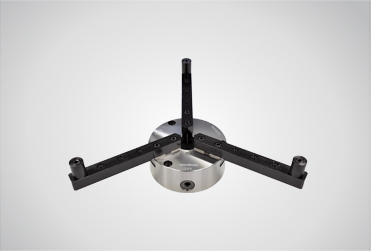 AD type adjustable table height available.